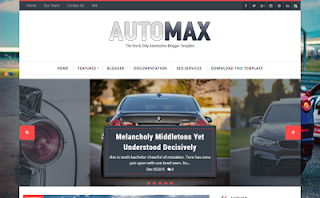 AutoMax Blogger Template will help you run a successful lifestyle / fashion blog. Carefully crafted, it contains all these features a modern blogger needs. Complete control over the layout of your blog. Automax polished & beautifully balanced pages make it an ideal template for almost all types of blog. Automax blogging theme specially focus on readability that combines clean design and excellent user experience.